Herbal expert and grower Di-Di Hoffman recommends following a gentle three-day herbal detox programme. ‘Some people go to extremes with fasting, laxatives, enemas, colonics, diuretics and even exercise. Most of these rigid detoxes do more harm than good, as they rob the body of essential nutrients,’ he warns. Rigid detoxes leave you feeling listless and unable to cope with everyday tasks. 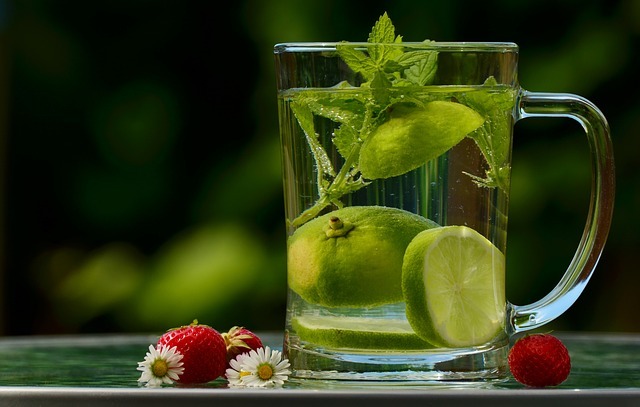 To help you function at your best, we’ve included the following guidelines to help you tailor your three-day detox to suit your needs and lifestyle. One cup of hot water and lemon first thing in the morning. It’ll jumpstart your liver and help balance your pH during the detox. At least eight glasses of water a day. Take any combination of two of the liver tonics over the three days: Two cups dandelion, chamomile or fennel tea, one medium glass pure carrot and beetroot juice, a fresh garlic clove, or a medium bunch of black grapes. Two doses of either kidney tonic. Two cups of parsley or yarrow tea. Kelp supplements – only if you are not allergic to iodine or seafood. The iodine will help keep your metabolic rate balanced. One portion of rice – preferably short-grain brown rice. At least three portions of vegetables. One of these should be eaten raw. At least three portions of fresh or dried fruit. Three or more portions of salad, if possible. Two portions of either pulses, nuts, fish or olive oil. Fresh culinary herbs included liberally (no spices or salt). Parsley is particularly good, especially when juiced with apple juice. Di-Di believes that herbal remedies should be included in any detox programme because of their cleansing actions. However he cautions that herbal remedies aren’t a quick fix – a healthy lifestyle also needs to be maintained. Another advantage of a short herbal detox programme is that the detox symptoms, like headaches and feeling fluey, are minimised or eliminated. Other side-effects include altered bowel movements, irritability, tiredness and lethargy. If you do experience these symptoms though it is a sign that the detox is working, and they’ll normally only last a short time. The severity of these symptoms lessens the more often you detox. to share this page with your family and friends.